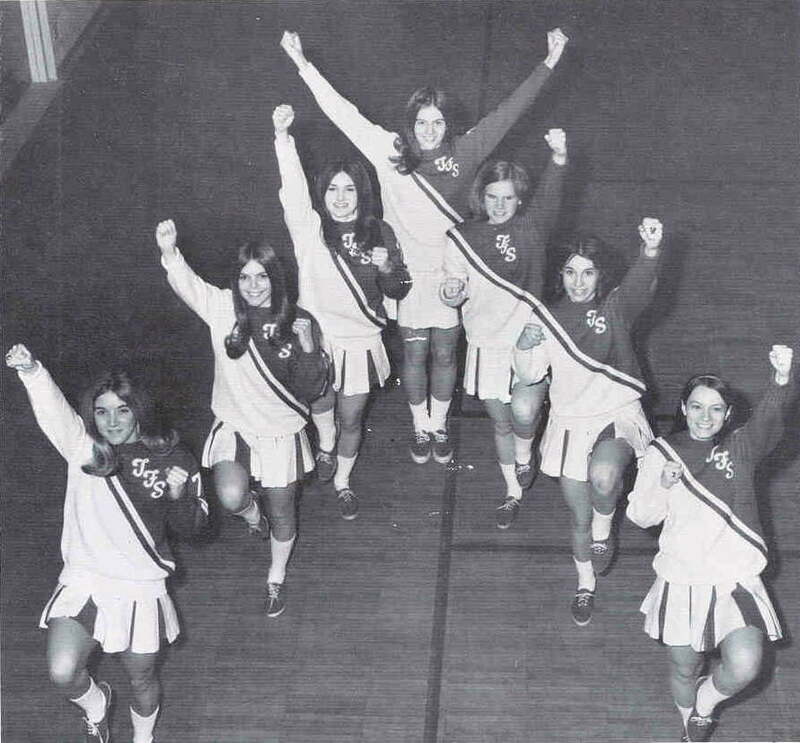 TOP: The 1970-71 Varsity Cheering Squad - Clockwise from left: Janet Wreszinski, Gail Walker, Pam Miller, Carolyn Maxeiner, Eileen Baldwin, Debbie Bauer, and Kathy Baker. 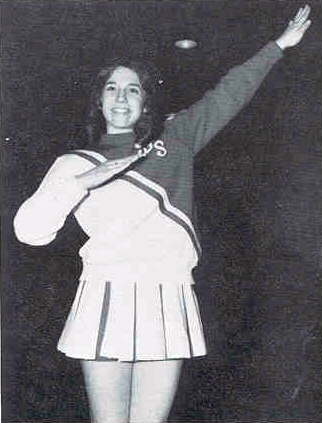 Senior Kathy Baker's got Rebel Spirit. 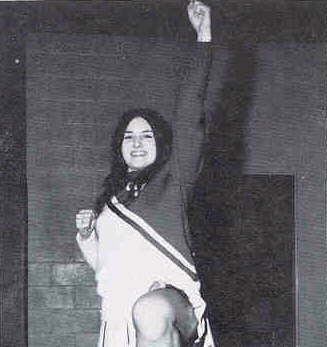 Pam Miller, 71, commands the Rebels to "Charge up." 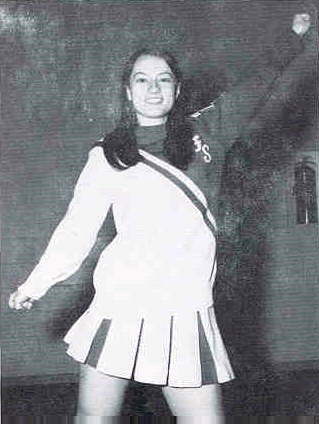 Captain Debbie Bauer wants a Southern victory.